RIM has announced that BBM Music is hitting the UK, with the phone manufacturer roping in Universal, Sony, Warner and EMI to its music streaming service. 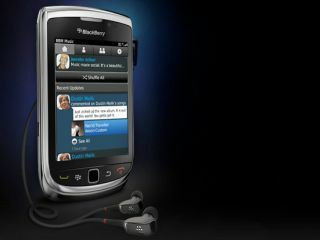 Announced back in August but not for the UK market, the service is subscription based and opens up music sharing with your BBM mates. This is done by setting up your own music profile where you choose 50 songs that others can listen to – and then you can swap out 25 a month from then on. In short: the more friends you have on BBM Music the more music you can listen to. Speaking about the service, Mike Lazaridis, President and Co-CEO at Research In Motion, said: "More than 45 million customers already love the social communication benefits delivered through BBM and we are thrilled to be extending the experience into a uniquely social and interactive music service. "We have partnered with leading music companies to provide a 'full track' music sharing and discovery experience that will provide users with quality music on demand and allow them to connect with friends on a whole new level." Other feature of BBM Music include playlists – made up of your own music and from your friends' collection - a visual timeline so you can see what your friends are up to and offline listening. The service will be available in the UK for £4.99 a month.